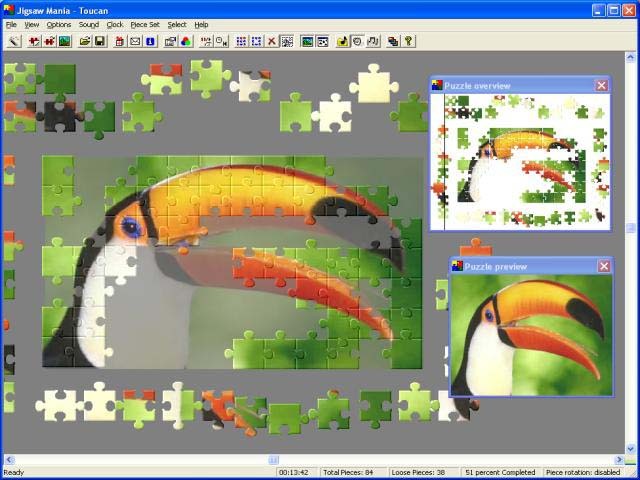 Get ready for the ULTIMATE in computerized jigsaw puzzles: Jigsaw Mania! has arrived!This game is chock full of puzzles; it comes with over six hundred exciting puzzles and this alone equates to virtually endless entertainment. 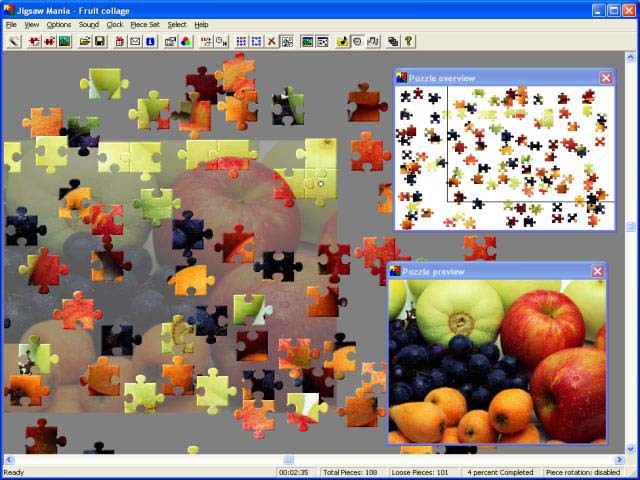 Solve any of the six hundred images or use the Editor to create your own puzzles. Marvel at your handiwork and/or email your creations to others. 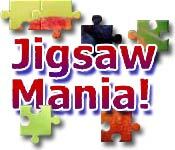 This is a must-have for jigsaw fans and artisans alike; download today. 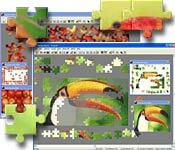 Email your creations to others.